Why Get The VIP All Access Pass? You can get instant access to all summit sessions NOW – you don’t even need to wait for the free version to start – get started on growing your business INSTANTLY. You don’t have to clear your schedule to make sure you can watch all sessions for the 24 hours each presentation is live – you can watch or listen whenever you like. You can share the summit sessions with your teams – invaluable for team training and mentoring. 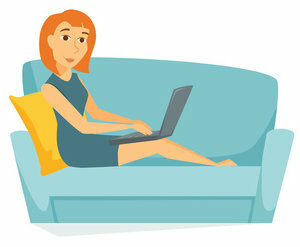 You can download the MP3 audios of ALL sessions to your own device – so you don’t have to be chained to your computer to watch the videos each session. You get instant access to VIP bonuses from our high quality speakers including reports, tools, surveys and templates that will save you thousands of dollars and hours of time in your health business. You also receive a FREE hard copy of my Amazon Best Selling Book “How to Run a One Minute Practice” – posted directly to your mailbox (that’s right – a hard copy book – NOT a pdf version) – the book is currently for sale on Amazon for nearly $30 on its own. GET INSTANT VIP ACCESS NOW! Congratulations on Registering for the World Physiotherapy and Physical Therapy Business Success Summit – You Have Made a Very Smart Decision to Invest in Your Health Business Education. By the time you have finished the first session of the summit you will have already received a decade of health business tips, strategies and “do now” activities that can help you earn more, work less and enjoy your life as a health professional in private practice. Then over the following days of the summit you will be shown the exact blueprints and success shortcuts that skyrocketed these 20 PLUS health business gurus to the top. They will compress over 400 years of combined health business knowledge and experience into a few short days of usable, practical and sometimes confronting information we all wish we had learnt at university. And if you are motivated and can clear out your schedule – you can stream each and every summit session with my compliments for 24 hours. That way anybody who wants to see them can – if they can watch them right away. Who Is Presenting at the Summit and What Will You Learn? I personally hand-picked speakers who are at the absolute top of their game – they are the top Physiotherapy and Physical Therapy business experts on the planet – and most importantly – they are teaching from experience NOT from theory. These experts have owned clinics, sold clinics, mentored business owners, invested thousands of their own dollars in marketing disasters and successes, created countless programs and products, have authored books and lectured around the world to health professionals just like you. Yet despite their hectic schedules each of our fantastic speakers have jumped at the chance to be part of this event and have promised to share ONLY their best stuff. All I can say is you are in for a real treat. Through Steve’s three key businesses – Impact Training Corporation, the National Sales Academy and My Mentor – he has delivered sales training to successfully increase the profits of thousands of businesses throughout the world. 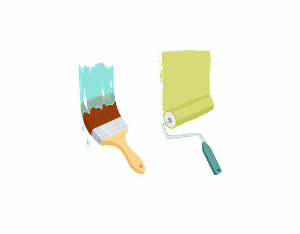 His training and mentoring often doubles or even triples his clients’ existing sales figures. For example, Steve has had clients who were generating $65,000 per month, transform into $850,000 per month successes, within a mere 12 months. He genuinely believes there aren’t many problems in business that more sales can’t fix, which is why after 30 years of being regarded as a global leader in sales, communication & behaviour skills, and public speaking, Steve has earned the moniker “Dr J, Sales Doctor”. Over the last 30 years of clinical practice as a physiotherapist in the private sector Craig has always enjoyed the challenges of problem solving. Working with patients at the coalface has seen his passion for quality healthcare grow into a process that has led him into the world of translational research and information sharing on providing safe , quality care that reduces the load on already stretched health resources. 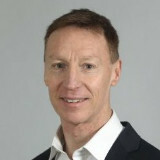 During his career working with the performing arts & sporting worlds, firstly as a professional dancer with the Australian Ballet then medical coordinator & consultant to performing arts companies, Craig have enjoyed forging links with the sporting world, working with Olympic teams, football clubs, Defense Forces & universities on validating outcome driven patient classification models. Craig founded the “Clinical Pilates” Program in1988 which combined his knowledge as a former dancer with the Australian Ballet to study extensively in the USA with many of the Pilates masters and their contemporaries. He has gone on to develop and research Clinical Pilates as an exercise based treatment process, managing the problems that underlie injuries. This innovative approach has moved the Physiotherapy world on from generic “core stability” work to individualized “functional stability” programs. -	Implementing evidence-based strategies into their practice. Now, after training over 4000 health and fitness professionals around the world on our evidence-based assessment, treatment and training methods at MAT, Stephen believes there is a way to improve all of these frustrations…..with OBJECTIVE DATA and the latest technology. His personal goal is to objectify all assessments health professionals perform and help 10 million patients and clients each day, through health and fitness professionals using MAT’s objective data strategies and their game-changing technology. 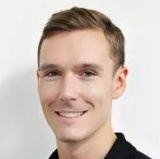 Since graduating as an Osteopath in 2010 Andrew has been on a journey to push himself to be the best therapist, educator and business owner he can become. This journey has taken him to the U.S where he became one of only four other Australian therapists to undertake a year long mentorship in Applied Functional Science with the Gray Institute. He now applies this combination of traditional Osteopathic techniques with movement and exercise strategies to help his patients at the Injury Rehab Centre in Melbourne. Andrew continues to explore the influence of objective assessment tools in practice, corrective movement strategies on neuroscience and pain science as a Director and educator with Movement Assessment Technologies. A serial entrepreneur and trained osteopath , Nicola set up her first practice in 2003 where she quickly developed an interest in sports injuries and worked for many years with the Gaelic Athletic Association in London treating Gaelic footballers and hurlers. She founded an online education resource called Sports Rehab Academy in 2015 where she taught sports rehab techniques. A self confessed Google ads nerd and a certified Google Ads expert , she now helps health business owners from around the world profit from Google ads via her online training courses and one on one Google Ads service. Allan has been involved in the health industry for over 40 years, working in the areas of physical education, exercise physiology, physiotherapy, and ergonomics. 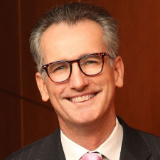 He is the director of Health Innovation Australia - dedicated to delivering services to enhance health and wellbeing as well as scientifically designed and tested products to match your needs, specifically in the areas of sleep , breathing and ergonomics. What has always been apparent to Allan is the importance of a global approach to treatment and was always questioning is there more pieces to the treatment jigsaw? Over time he learnt that great restorative sleep and correct breathing is paramount, not only for the athlete to reach full potential but also for anyone wishing to avoid and recover from injury or indeed function affectively through the day. 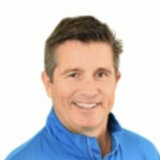 Brian Gallagher graduated from Daemen College in 1992 with a degree in Physical Therapy. Immediately upon graduation, he practiced physical therapy for both pediatrics and adults in various settings. In the late 1990’s, Brian and his wife founded what became one of Marylands largest therapy staffing companies, while at the same time launching their own PT private practice business, comprised of 6 out-patient clinics. Both businesses boomed, with a resulting sale of the entire operation in 2006. Brian re-acquired the practices in late 2008, at which time he grew them larger than before, winning “Practice of the Year” in 2011. In January of 2017, Brian once again sold his private practices so that he could devote 100% of his attention to MEG Business Management, which he started in 2006. MEG began as purely an educational consulting company for private practice owners across the country. 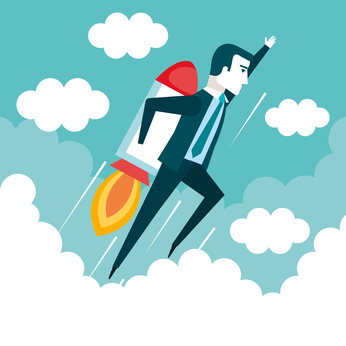 Today MEG Business Management not only continues to train practice owners on how to successfully grow and manage their practices, it is also a leader in providing PT billing services to practices across the nation. Paul is one of the top Marketing and Business Coaches in the physical therapy industry and his Systems are helping clinic owners all across America and the UK run more profitable clinics. He is a published Author, Newspaper Columnist and before his stunning success in business was hired by top professional soccer teams. His success story is one that inspires many therapists around the world – at the age of 26 Paul quit a high profile job in professional soccer to begin his own clinic. He had NO money, NO business or marketing skills and NO experience – and yet now owns and runs 4 Physiotherapy clinics and has a proven track record of growing a physical therapy business from 0 – $2m in record time. 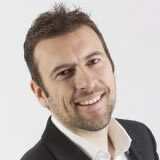 Jason is a dynamic business leader and award-winning physiotherapist in high demand. He is the founder of the Back In Motion Health Group – Australia and NZ’s largest and fastest growing provider of physiotherapy and related services. 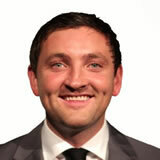 As the Group Director, Jason leads a team of more than 600 staff in over 100 locations. The success of Back In Motion has been recognised by its sustained exponential growth and by a number of formal accolades including being awarded a BRW Fast Franchise for five consecutive years and Jason’s award as the Ernst & Young Entrepreneur of the Year. Jason’s passion for leadership culminated in his establishing the Iceberg Leadership Institute, a forum through which he has provided thought-provoking leadership instruction to thousands of experienced and emerging health professionals. 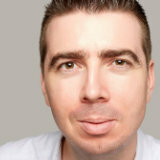 Find out more about Jason Smith at www.jasontsmith.com.au. Author of “Killer Marketing Secrets for Private Practice PTs” and Owner of Madden Physical Therapy, Chad grew his practice 600% in the last five years using one major strategy. He now sees more than 184 new patients each month in his single location Private Practice. Now he’s taught over 400 Practice Owners to do the same. 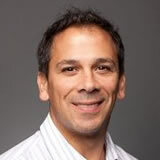 Darryl is the current Chair of the Private Practice Division of the Canadian Physiotherapy Association. He has worked in the private sector for over 10 years and has been fortunate to work through all levels of patient care, clinic management and ownership. 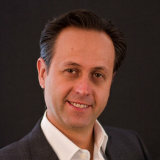 He consults with many clinic owners to grow their business, and has recruited and mentored over 50 therapists. He is currently on contract overseeing operations as the manager of Therapy Services at the Brant Community Health System. 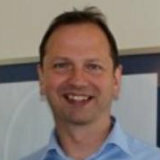 He is a consultant with orthopaedic and neurosurgeons and has a special interest in hip and spine. 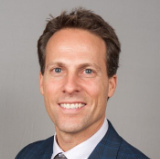 He is a co-author of ‘Diagnosis and Management of Femoroacetabular Impingement: An Evidence-Based Approach’, and has co-authored multiple publications and has presented at over 50 conferences and courses throughout Canada and Internationally. Darryl is the professor of ‘Business and Entrepreneurship in Physical Therapy’ at Western University. 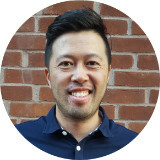 He is the co-founder of EnCORE Research, and a consultant for research and strategic programming at DSD Management, a network of 14 multidisciplinary clinics in Ontario. 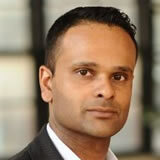 He is the co-founder of Entry to Practice Essentials, the first Canadian PCE study guide. 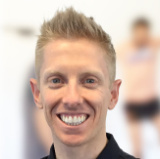 With qualifications in physiotherapy, sports science, men’s health and business, Craig has enjoyed a stellar career as a leading sports physiotherapist not only in Australia but internationally. Since resigning from daily clinical practice, Craig has been busy with his university work and developing his own teaching and publishing business. He is in demand for national and international physiotherapy conferences where he speaks on clinical topics and his strong interest, men’s health. His book, ‘Book More Clients’, is a popular business development tool and forms part of his reading list for the business development workshops he conducts for health professionals. Trish is one of Australia’s first Specialist Sports Physiotherapists and is recognized as a Fellow of the Australian College of Physiotherapy. 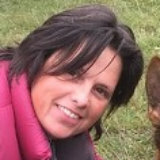 She is a Sports Specialist in the area of lower back, pelvic and hip problems. Trish also created the BOUNCE Back system of active rehabilitation to enable a simple and effective method of enabling other trained physiotherapists to utilize this effective method of active rehabilitation with their patients. She is currently the Director of both Bounce Back Active Rehabilitation Systems and The Take Control Active Rehabilitation Clinic in Sydney, Australia. Dr. Jamey Schrier is the founder of The Practice Freedom Method. Prior to creating this breakthrough system, Dr. Schrier was working more than 60 hours a week as a physical therapist, missing his kids’ events, and worrying about making enough money to pay his bills. In 2004, a three-alarm fire burned his practice to the ground. Rather than throw in the towel, Jamey rebuilt his practice, growing it to include multiple locations with a system that allowed it to grow profitably and predictably while reducing the amount of time he spent in patient care. Recently Dr. Schrier sold his practices for a price often reserved for practices quadruple his size. Today, Jamey spends most of his time training Physical Therapy practice owners how to apply his methodologies through his revolutionary program called The Practice Freedom Method. His unique approach combines sound business principles with best practices that he learned over 20 years in business. Jamey’s true gift is in his ability to accelerate this process for other practice owners in a fun, easy to understand and implement, way. 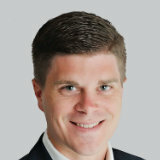 Tristan White is the Founder & CEO of The Physio Co, a unique healthcare business that has ranked as one of Australia’s 50 Best Places to Work for nine consecutive years (2009-2017) along with being one of the Best Workplaces in Asia for 2015 & 2016. In 2017, Tristan has released his first book, Culture Is Everything: The story and system of a start-up that became Australia’s Best Place to Work. Dr. Joe Simon’s career has made him uniquely qualified to help private practice owners achieve their professional goals. As a physical therapist, private practice owner, author, podcaster and business partner in various health and medical practices, he brings a unique perspective to the rapidly changing world of healthcare. Dr. Joe is an expert in growing businesses and private practices. He can walk into a private practice and immediately detect weaknesses and holes, and then gladly devote his time and energy into optimizing that specific practice. He has worked personally with over 140 private practice owners, 19 hospitals and 42 non-health related businesses to help market and grow their ideas. As a Strategic Practice Investor, he helps select healthcare professionals multiply cash from niche medical, wellness, and physical therapy practices. Rick Lau is a seasoned healthcare entrepreneur who has successfully built 3 multi-million dollar healthcare companies over the past 15 years. Rick’s entrepreneurial journey started from humble beginnings. His first company, pt Health, began as a small business and transformed into a company that grew to a network of 100+ rehab clinics across Canada. Rick’s second company, CSC, is a one stop shop for clinics and is one of the largest e-commence healthcare suppliers in Canada. Rick’s third company, CallHero, a call performance and training software, was created to hold the front desk staff accountable for answering and booking more patients over the phones. Rick also hosts the biggest clinic owner event in Canada, ACCELERATE: The Ultimate Clinic Owner Business Summit. Sold out early to a hungry crowd of hundreds of clinic owners, Rick delivered cutting-edge keynote speeches alongside 12 other 7-figure health business owners. 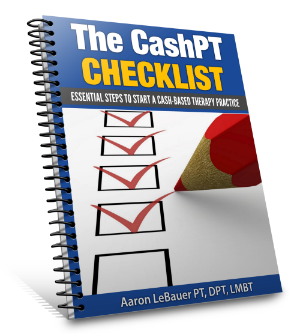 Aaron LeBauer PT, DPT, LMBT, RYT is the host of The CashPT Lunch Hour Podcast, The CashPT Nation Facebook group and has helped 1000’s of passionate physical therapists create, grow and market successful cash-based physical therapy businesses. 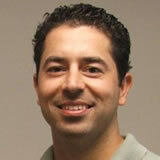 He owns LeBauer Physical Therapy in Greensboro, NC which is a 100% cash-based physical therapy practice. He opened his practice right after graduating from Elon University’s doctor of physical therapy program so he could treat patients as unique individuals and without influence by insurance reimbursement. 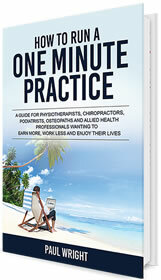 Celia Champion is the owner of Painless Practice. Celia specialises in supporting health professionals on the non-clinical, business side of their practice. Whether you want to grow your practice, plan your exit strategy, get a better work life balance or manage your practice and team more efficiently and more successfully, Painless Practice is able to help. Celia and her team are passionate about seeing practitioners enjoying their work and achieving their vision. 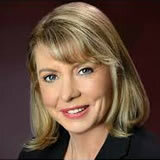 Celia co-authored ‘Seven Pillars of a Painless Practice and is a leading keynote speaker in her field. 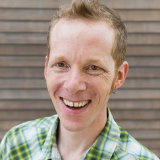 Nick is the owner of Scarborough Physio and Health, and creator of the Ultimate Physio Private Practice Education Group. He started his career in Physiotherapy and bought Scarborough Physio and Health as a 21 year old in 2003 when it was in its infancy. It is now a thriving clinic offering Physio, Pilates, Massage, Psychology, Acupuncture and other complimentary health services. A noted public speaker, author of “Becoming the Ultimate Physio” and educator – Nick has seen it all in health business ownership and shares a real life perspective on business as a business owner who still loves treating patients, while helping to introduce clinic owners to leadership and team mentoring concepts through the Ultimate Physio business. Glenn Ruscoe can only be described as a physiotherapy success story. 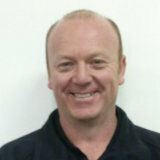 He has achieved the pinnacle of clinical excellence with a Fellowship of the Australian College of Physiotherapists. Has presided over his State Chapter of the Australian Physiotherapy Association and was the inaugural Chair of the Physiotherapy Board of Australia. He has taught Dry Needling to over a thousand physiotherapists at home and abroad. With a Masters of Business Administration under his belt he grew his practice from a solo operation to an employer of twenty, and then successfully sold it. And he has built multiple websites and digital businesses, including the game-changing .physio domain extension. 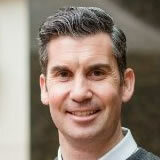 Tony Rose is a Melbourne based Chiropractor, Director of ADIO Media and Director of CLA Australia / New Zealand. ADIO Media (with Dr Angus Pyke) provides health business owners with relevant and contemporary video marketing and continuing education. Tony also hosts The Insightful Chiropractor Podcast with Dr David Fletcher where they dive into contemporary issues facing Chiropractors. Jerry Durham helps Physical Therapy Practice owners engage patients for great results. Following graduation from Physical Therapy school, Jerry practiced in a variety of settings, inpatient and outpatient, from small independent clinics to large hospitals and from the very beginning, Jerry questioned why there wasn’t an emphasis placed on treating patients as individuals, with unique concerns and objectives and why more effort wasn’t being made to develop true relationships with patients. 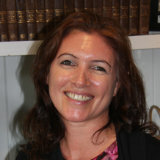 Tor began her professional life training as a physiotherapist at Addenbrookes Hospital, Cambridge, UK. She went on to complete a BSc in Sport & Exercise Science at the University of Birmingham whilst also achieving a WTA international tennis ranking. After graduation she trained as a marketeer with a London marketing agency and then moved into medical journalism where her passion for publishing was born. With a passion for technology as well as publishing and sport, Tor’s leadership grew sportEX into the Co-Kinetic journal and website which included a more collaborative, royalty-based form of publishing as well as a wider content remit. As well as the quarterly magazine Co-Kinetic offerings now include e-learning opportunities, breaking clinical research infographics, marketing kits for therapists, business growth tools and a business discount club. Angus is the co founder of Adio Media. ADIO Media helps health practitioners craft and share their message in a cool and helpful way so they can stop “marketing by accident” and having to settle for whatever business “falls in your lap”. He’s spent the last 18 years running our own thriving practice whilst having invested in excess of $200,000 finding the blueprint of what works when it comes to marketing health practices…and he’d love to help you do the same. Stephen originally worked for large multinational companies mainly in Europe and Africa and had his own business exporting different goods to West & Central Africa. Having heard about a spine treatment in America and in a career U turn, he visited a physio clinic in Egypt where IDD Therapy Disc Treatment was being led by a neurosurgeon. He now wears two hats; one is that he heads up clinics in the IDD Therapy Disc Clinics network, this is a network of physiotherapy, osteopathy and chiropractic clinics who provide IDD Therapy Disc Treatment and the other is as a co-owner of Spinex Disc Clinic in London, the UK’s first dedicated disc clinic. He is passionate about non-invasive spine care and helping practices expand their community reach with specialist spinal rehabilitation. 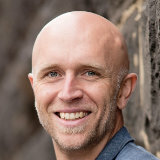 Scott graduated as a Physiotherapist in 1993 from the University of Sydney and is one of the Principals of Coastal Physiotherapy in Burnie – Tasmania. 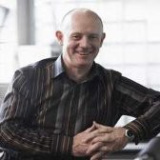 Scott is the National Chair for Physiotherapy Business Australia and member of the National Advisory Council. 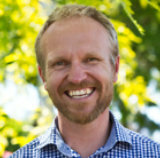 He was a board member of General Practice North West and was appointed to the Tasmanian Medicare Local’s Primary Health Care Strategic Advisory Council. 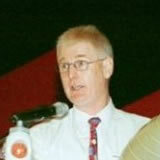 He currently sits on the Clinical Advisory Council of the Primary Health Network of Tasmania. 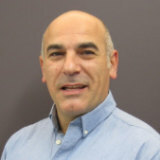 Alain graduated from McGill University in 1983 with a Bachelor of Science in Physical Therapy. 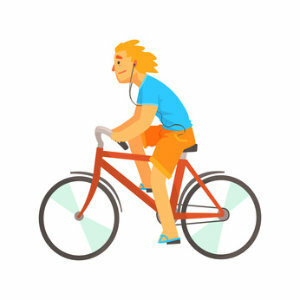 During the same year, he completed his Canadian Athletic Therapy Certification. . He also taught at the University of Montreal in the Department of Physical Therapy. Alain is one of the three founders of the Action Sport Physio network in Quebec – Canada. 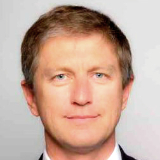 He is the chief executive officer of Action Sport Medicine International, the franchisor and vice-president of Public Relations and is responsible for the development of the network. 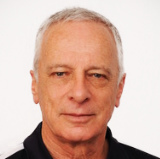 Robert De Nardis is the Director of Sandringham Sports Physiotherapy in Melbourne, Australia – he has been involved with sporting athletes and teams at all levels, including the Sandringham Football Club (VFL) and the Melbourne United Basketball Club (NBL). He is the Director of the Melbourne Whiplash Centre and has been actively engaged in Whiplash evaluation, treatment and research since 1998. He is also the director of GEMT – an education company involved in the teaching of Dry Needling to allied health practitioners around the world. Paul Donnelly is a lawyer and the General Secretary of Physio First and brings a broad perspective of how the private practitioner sector in the UK. Together with the executive committee of Physio First he examines the private practitioner sector from the perspective of Private Medical Insurers, Self-Payers, Commercial Intermediaries & Motor Insurers and engages with each sector on behalf of Physio First members. In 2011 he received an Honorary Life Membership “for his services to the promotion of Physio First both nationally and internationally”. He is currently responsible for leading Physio First’s business plan priority to establish the first ever self-employed private physiotherapists’ cooperative i.e. a business that is designed to give private physiotherapists the opportunity to effectively compete at a national scale within the UK. If you want to re-watch sessions, watch them later, listen instead of watch or share the session with your team (just like I get my private mentor clients to do) there is only ONE WAY to get access to the entire video and audio version of the World Physiotherapy and Physical Therapy Business Success Summit anytime. 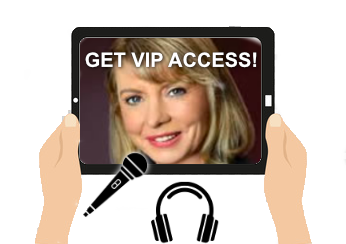 It is called the VIP All Access Pass – and it lets you and your team view or listen to every session of the summit anytime – without ever having to set foot inside a convention hall. You and your team can learn on YOUR schedule – when and where you like – no need to cram around the computer to watch the video when it is live on the summit. And you don’t need to pay $1000, $2000 or even $5000 for some programs, conferences or programs. There’s NO plane ticket, noisy hotel rooms or overpriced meals. And with the VIP All Access Pass you don’t even need to sacrifice your social life or take time out of your consulting schedules to cram all the sessions into a few days. Take Advantage of Our No Risk to You – Wrighty is a Goose Guarantee!! We don’t want you to take any risk in this decision so our guarantee to you is very simple. If at the end of this summit you do not believe that you received great information and value (highly unlikely) we will refund any the money that you paid for access, just for giving it a go – you have absolutely nothing to lose. You can even keep the book we post to you and any bonus content you downloaded from the speakers as our makeup gift to you. With so many high quality speakers jammed into such a tight speaking schedule – and with only 24 hours to watch the recordings of each day of the conference – it is possible you will not be able to make all sessions at the free event. And you never know – the session you miss may be the one that would have given you the answers to your exact business problem – or the “Million Dollar Idea” you have been searching for. But as we don’t want you to miss anything – you can simply upgrade to the VIP All Access Pass. You and your team don’t have to run to your computer to catch your favourite speakers presentation before it is locked away in the Success Summit vault (24 hours from when it is first posted). Instead – you and your team and watch and re-watch any session from the entire event anytime you like. You miss NOTHING – you decide when and what you watch. You will discover powerful strategies these experts usually only share with their private mentor clients or their own teams – saving you thousands of dollars and hours of wasted time working out how to do it yourself – assuming you even can. VIP All Access Pass buyers will also be able to download MP3 files of all summit sessions so you can benefit from the summit content on your portable device whilst exercising, driving - or like me last weekend, painting a room. As a special bonus for all buyers of the World Physiotherapy and Physical Therapy Business Success Summit VIP All Access Pass, I have twisted the collective arms of our speakers to compile an incredible range of bonus programs, templates, surveys and manual – to help fast track your health business success. 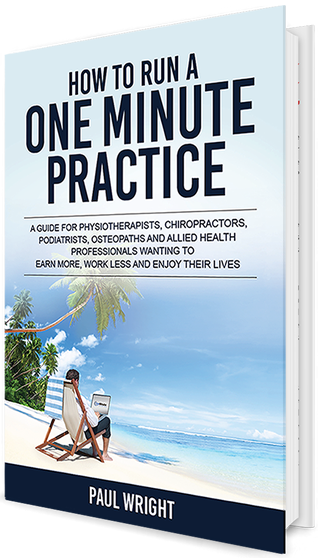 A Free HARD COPY of my own Amazon Best Selling Book “How to Run a One Minute Practice” – an absolute MUST for all serious students of health business success. The book is currently for sale on Amazon for nearly $30 however we will post you a hard copy direct to your physical mailbox as soon as you upgrade to the VIP All Access Pass. 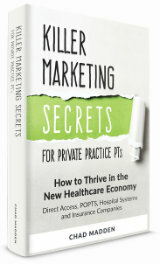 “Killer Marketing Secrets for Private Practice PT’s” – in PDF format from Chad Madden – gives you the EXACT formula to take YOU from a Minor-League practice owner to an All-Star quickly and easily using effective, scientific marketing strategies. 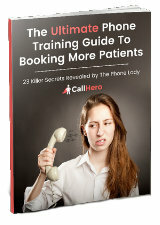 “The Ultimate Phone Training Guide – To Booking You More Patients” from Rick Lau and the Team at Call Hero – excellent communication skills remain essential for any practice that wants to continually grow its revenue base and keep patient satisfaction high — and everyone can learn effective communication skills. No matter what situation you’re faced with, by the time you finish this training guide you’ll know exactly what to say to patients and you can train your staff to do the same. 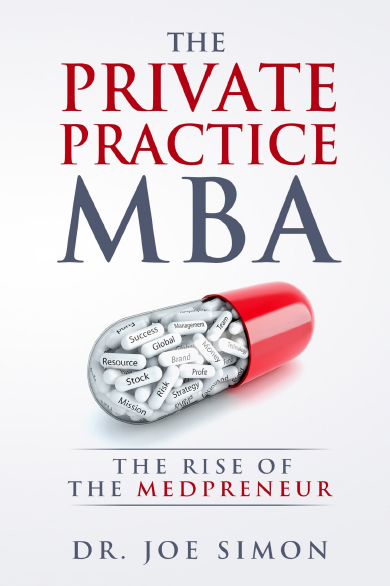 “The Private Practice MBA – the Rise of the Medpreneur” with Joe Simon. 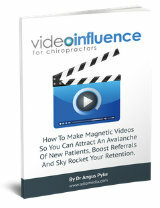 “The Video Influence” e-book from Tony Rose and Angus Pyke shows you exactly how to make magnetic videos so you can attract an avalanche of new patients, boost referrals and sky rocket retention. Once the 24 hour window for each session closes – the speakers will step off our online stage and once again become virtually inaccessible. 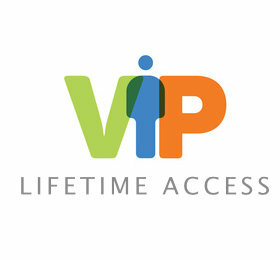 Since they are my friends and truly love helping health business owners succeed we are able to make the VIP All Access Pass a NO BRAINER. But you must act now as I don’t know when I will be closing the cart – making the summit masterclasses unavailable. GET YOUR VIP ACCESS NOW! You don’t have to decide anything today. You can lock in your VIP All Access Pass at the lowest possible admission price when you try it risk free NOW. You have 30 Days to watch and/or listen to each detailed Masterclass at your convenience. Try the powerful speaker bonuses, read my book, and immerse yourself in the incredible content shared by this elite group of health business experts. You will learn the secrets of health business success directly from the world’s leading health business owners, coaches, authors and consultants – who have seen it all and are totally motivated to give you their best ever content and strategies. Remember you MUST love the World Physiotherapy and Physical Business Success Summit and think it is one of the best business success conferences you have ever attended – OR I will give you a full and complete refund. Just click on the button to claim your VIP All Access Pass – NOW – before the offer disappears.